Show your loved ones how much you really care about them by treating them to delicious treats with better-for-you ingredients. Optional: 1/3 cup of rum/brandy/honey bourbon - or a mix of two. 1. In a heavy bottom sauce pan, combine the coconut and almond milk, maple syrup, ground cloves, nutmeg and cinnamon. Over medium heat, allow the mixture to become warm and “steamy”, but don’t allow it to boil or simmer. Remove from heat when it is just “steamy”. 3. Now add the tempered egg mixture back into the leftover milk. Return it to a medium heat, stirring constantly and never letting it come to a boil. If it boils it will curdle. Continue cooking until the mixture reaches a temperature of 70 degrees C on a candy thermometer. It should thicken some. As long as at it’s not curdling you can keep cooking the eggnog a little longer at 70 degrees till it thickens more. 4. Remove the stove and let the eggnog cool down. Once cooled some, mix in the vanilla extract, nutmeg and the alcohol (optional). You can also add a splash more of milk to taste) Chill well. Serve with a little sprinkle of nutmeg on the top. If the mixture does curdle, don’t worry. 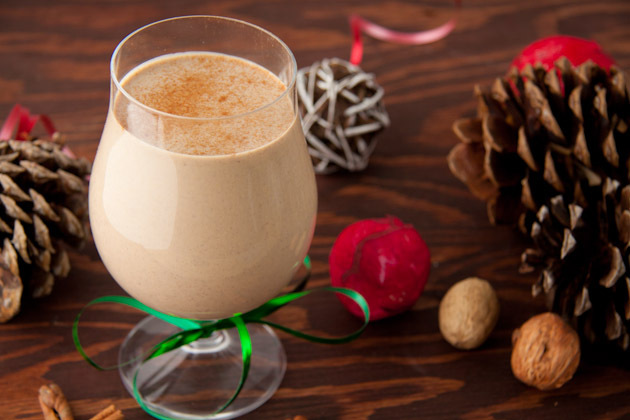 Pour your eggnog into a blender or food processor and give it a whirl. It will smooth out in no time and no one will be the wiser! Preheat the oven to 160°C and line 2 baking trays with baking paper. In a food processor, finely grind the almonds. Add the chocolate and process again until fine, being careful not to over-mix as the chocolate will begin to melt. Add the spices, maple syrup and egg whites and process again until the dough comes together. Turn out, form into a disc and chill for 30 minutes. Remove from the fridge, then roll the dough into equal sized balls and space out over a baking tray. 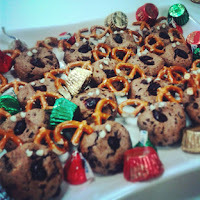 Break the pretzel bows in half, then insert the two halves at the top of each ball of cookie dough. Place one cranberry or m&m in the center of each ball, then lightly press each ball to flatten slightly. Remove from the oven and let cool before storing in an airtight container. These biscuits are bittersweet so if you have a sweet tooth, then either add another tablespoon or two of maple syrup. Optional: use a piping bag and white icing to give each reindeer some eyes. 1. Preheat oven to 180 degrees C and spray non-stick loaf pan (23 x 13cm) with cooking spray. Set aside. 2. In a medium bowl, lightly whisk eggs and add remaining wet ingredients. If using dates, blend them with applesauce in a powerful blender until smooth, then add remaining wet ingredients and give a few more pulses to combine. 3. In a large bowl, mix together dry ingredients, add wet ingredients and gently stir until combined. Do not over mix. 4. Pour into prepared loaf pan and bake for 40 minutes if using dates or 50 minutes for maple syrup or honey version. Ovens vary, so check with a toothpick inserted in the center of the bread. The bread is ready when it comes out clean. 5. Remove from the oven, let cool in the pan for 5 minutes and transfer to a wire rack to cool down completely. Refrigerate in an airtight container for up to 1 week or freeze for up to 3 months. I don't recommend using dried ground ginger because I think it is really a totally different taste. You can buy a small piece of ginger root, and freeze what you don't use. You can use the root right out of the freezer - don't need to defrost. If you have a microplane (grater that is really a hardware store rasp), you don't even need to peel the root before you use it. 1. In a food processor, process the almonds until they become a fine crumb. 2. Add the ginger and allspice, and process again briefly. 3. Add the tahini, dates and coconut nectar, and process until the mixture becomes sticky. If it’s not coming together, add 1 tsp of water. 4. Taking 1 tbsp of mixture at at time, roll into balls and coat with desiccated coconut. See more inspiration and free templates here. I hope you give these a try and gift them to your loved ones this Christmas. These recipes will show you care enough to spend time to create something. 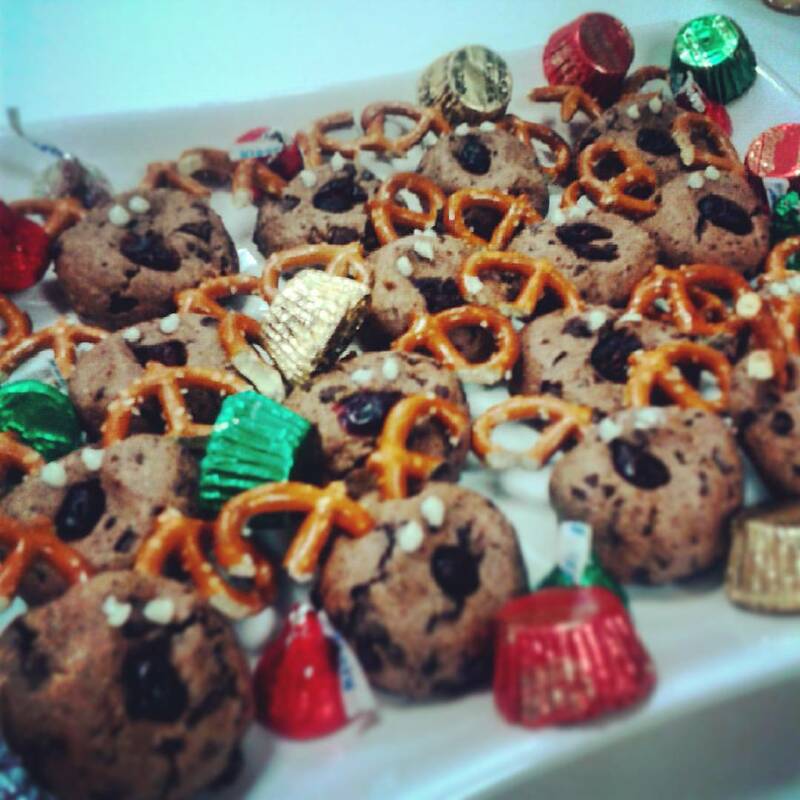 Treats to enjoy with less guilt!